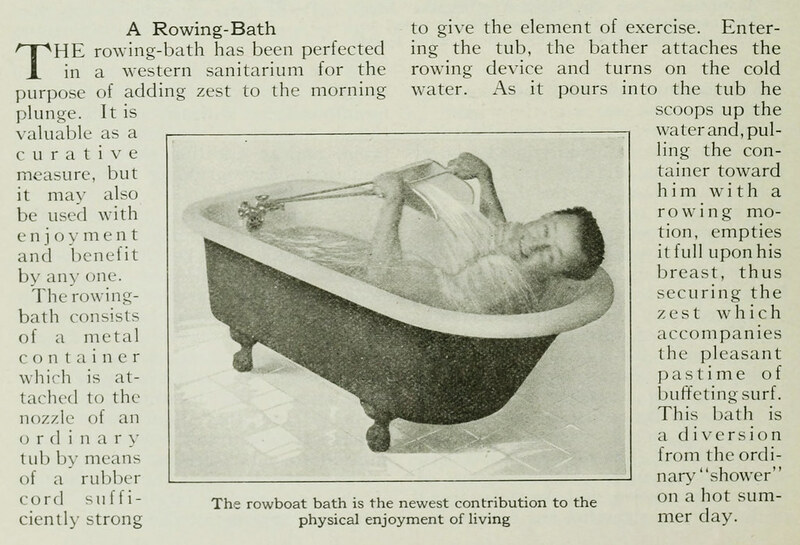 Touted as the “newest contribution to the enjoyment of living”, news of the ingenious “rowing-bath” comes to us from the pages of a 1916 edition of The Popular Science Monthly. Consisting of what amounts to some sort of a metal dustpan tied by a rubber cord to the taps, the device promises to secure “the zest which accompanies the pleasant pastime of buffeting surf”. 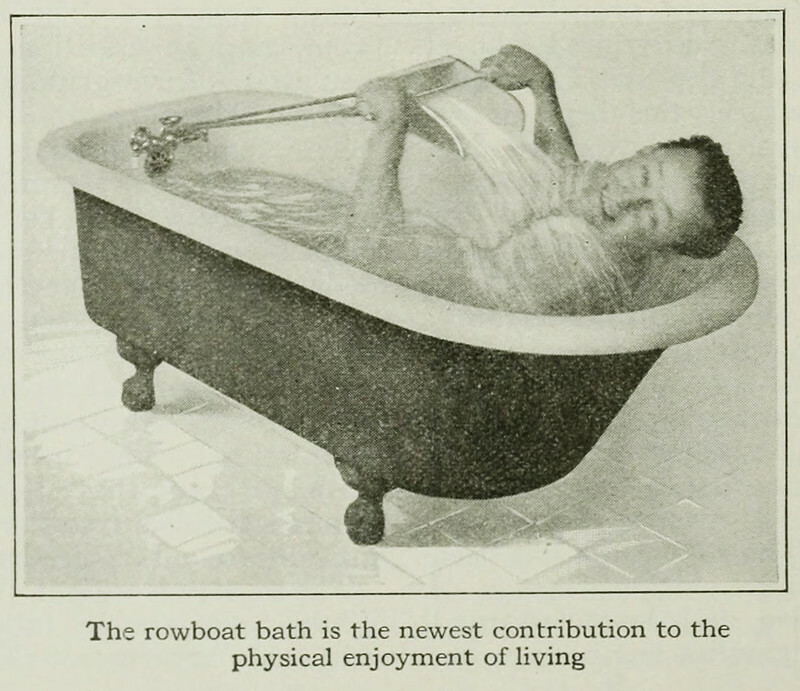 It seems, however, that the general public did not quite share the excitement of the article, or the ecstatic model it depicts, as nothing much more is heard of the invention again (although we did find mention of a similarly named device from 1904).